Julia trained as a classical double bass player, playing orchestral and jazz for many years. 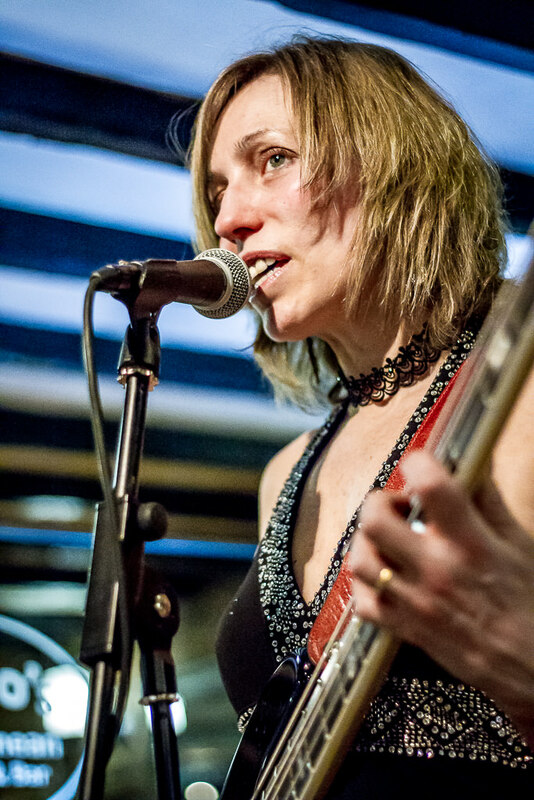 Since moving to electric bass and developing her singing skills, Julia has played and sung with a variety of rock and acoustic bands. 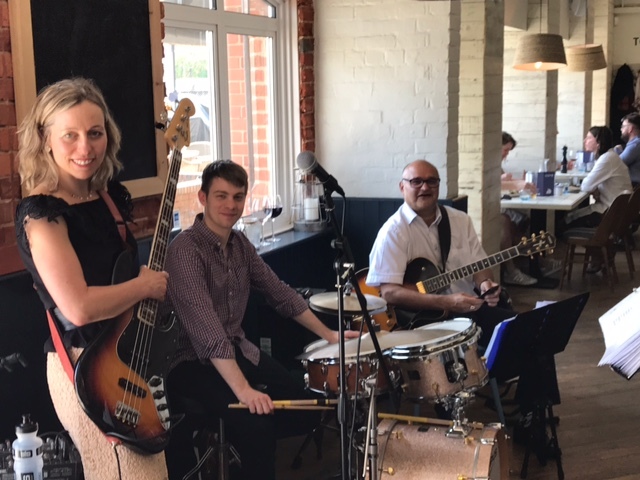 The mellow vibe of the jazz group setting suits her sultry vocal style and subtle electric bass rhythms to complement the virtuosity of Hemi on guitar and Chris on drums. Hemi is a guitarist who has performed in several bands in the last two decades in the Hampshire area. 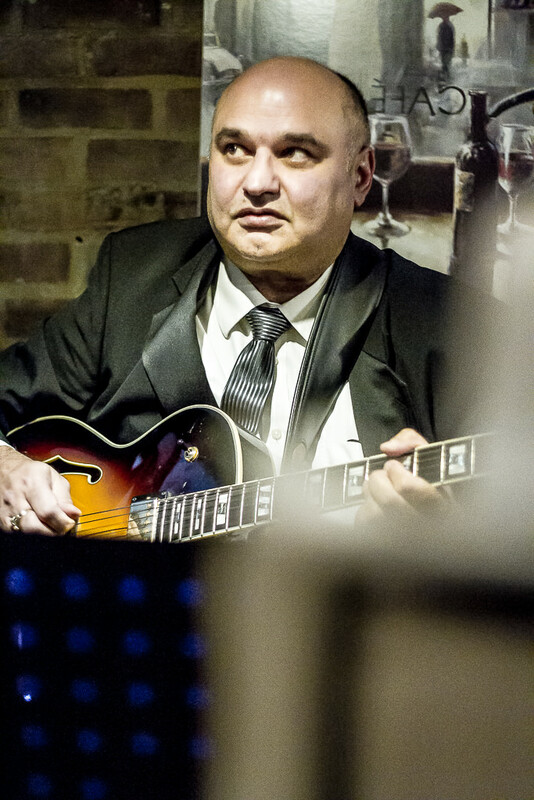 He is very fortunate to have had the privilege of performing live with some very fine jazz musicians. Hemi is also a founding member of Amorilo, a funk band which has played in many venues in Hampshire. They were for many years the headlining band for the Beggar’s fair in Romsey and entertained large audiences through the years. Hemi loves the mellow vibe of Cinnamon Jazz and it is a pleasure for him to perform with Julia and Chris to add that something special to any occasion.